The Independence Party (Sja) the main rightwing opposition party won the general elections in Iceland on 27th April 2013. The party led by Bjarni Benediktsson, won 26.7% of the vote and took 19 seats (+3 in comparison with the previous elections on 25th April 2009). He drew ahead of the Progress Party (Fram), led by Sigmundur David Gunnlaugsson, which won 24.4% of the vote and the same number of seats (+10). The Alliance Party- Social Democratic Party (Sam) of outgoing Prime Minister Johanna Sigurdardottir led by Arni Pall Arnason suffered a severe setback losing more than half of its seats (-11) winning 12.9% of the vote (9 seats). The Left Movement-Greens (Vg), a far left ecologist party led by Education, Culture and Science Minister, Katrin Jakobsdottir, suffered the same fate: it won 10.9% of the vote and 7 seats (-7). Two new parties will be making their entry into the Althing, the only chamber of Parliament: the Bright Future Party (8.2% of the vote and 6 seats) and the Pirate Party (5.1% of the vote and three seats). 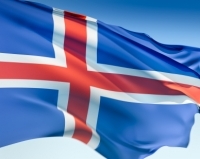 The first supports Iceland's accession to the EU and is fighting for the simplification of the tax system and the creation of clean industries; the second defends civil rights, direct democracy, freedom and transparency of information. The Icelandic Pirates are the first in the world to enter a national parliament. Their leader Birgitta Jonsdottir has said that her party "was not fighting to enter government" but that it was ready to work with any party interested in the issues promoted by the Pirates. She wanted to introduce "21st century laws on the respect of private life on the Internet, the freedom of information, the transparency of government." "Many people see Iceland as a kind of laboratory for democracy. We must live up to this reputation," she said. Turnout lay at 81.4%, i.e. 3.7 points less in comparison with the previous elections on 25th April 2009. "The Independence party has been recalled to duty. The situation is a request for change," said Bjarni Benediktsson delighted after the results were announced. The rightwing opposition victory puts an end to four years of leftwing government, which was a first in Icelandic history. The Progress Party of Sigmundur David Gunnlaugsson said it was prepared to govern with the Independence Party. Both parties have been accustomed to working together in governing their country for a long time. Over the last few years as heads of their respective parties Bjarni Benediktsson and Sigmundur David Gunnlaugsson have recruited young elements into their executive teams. "The Progress Party has renewed its staff. The team is no longer the same," said Olafur Hardarson, a political scientist at the University of Reykjavik. The appointment expected of Bjarni Benediktsson as Prime Minister will undeniably herald the arrival of a new generation since he is only 43 years old. The oldest of the Icelandic parties, the Progress Party, has made a major breakthrough. Political analysts explain this result by the stance adopted by its leader Sigmundur David Gunnlaugsson in the Icesave case. In the 2000's, the on-line bank managed to attract liquidities of around 320,000 Britons and Dutch by using high interest rates and a promise of high remuneration. After the collapse of the financial system and the nationalisation of the Icelandic banks, Reykjavik found itself with a debt of 3.8 billion € towards London and The Hague. Twice since, as they voted by referendum, the Icelanders have rejected the agreements signed between the three countries and ratified by the Althing. The leader of the Progress Party has always been against Reykjavik's reimbursement of the on-line bank's debt. "Sigmundur David Gunnlaugsson insists that the crisis came from the outside by way of foreign investors who are responsible not the Icelanders. It is truly nationalist rhetoric," indicates Helgi Gunnlaugsson, a sociologist from the University Reykjavik. On 28th January last however the Court of the European Free Trade Association (EFTA) acquitted Iceland of all charges regarding any possible infringement of the agreement signed as part of the dispute between the UK and the Netherlands in the bankruptcy of Icesave. During the electoral campaign the Progress Party committed to reimbursing the Icelanders of 20% of their real estate loans by taking money from "vulture funds", i.e. foreign creditors and future owners of banks in liquidation. He promised to bring the reimbursement index of real estate loans back to its 2008 level. For its part the Independence Party promised to grant tax rebates to households. "We shall not compromise on tax reductions and the improvement in people's living standards," said Bjarni Benediktsson. Outgoing Prime Minister Johanna Sigurdardottir said she was "very sad" at the left's defeat. "We knew our mission to save Iceland from bankruptcy would not make us popular" she stressed. During her term in office the head of government followed the IMF's recommendations which lent 1.6 billion € to Iceland between 2008 and 2011. "Johanna Sigurdottir's government had to do things that no government likes doing, particularly those on the left: reduce spending, increase taxes - in a word reduce living standards," analysed Gunnar Helgi Kristinsson, a professor of political science at the University of Iceland. The Icelanders indeed seem to have believed that the government worked more towards respecting the IMF's directives than it did to try and improve the population's living conditions. Although the country, which four years ago was on the edge of an abyss, is undeniably doing better the Icelanders are still suffering because of the economic crisis that their island experienced and are still discontent. Aged 43, Bjarni Benediktsson was born in Reykjavik. A graduate in law he studied in Germany and in the USA and started his professional career as a lawyer. He entered parliament for the first time in 2003 and was elected as the head of the Independence Party on 29th March 2009 with 58.1% of the vote, one month before the general elections on 25th April 2009 which led to the party's collapse. Four years later he has succeeded in reviving it and has embodied change without frightening the party's traditional electorate. The final curtain for negotiations with the European Union? The entry into office of the Independence Party-Progress Party coalition may lead to the end of negotiations between Reykjavik and Brussels. During the electoral campaign the Independence Party said it supported the organisation of a popular consultation on the continuation of negotiations. The Progress Party is against joining the EU. "Discussions will not continue without a referendum. Our policy, is to stop the negotiations which in fact are moving forwards so slowly that it will not be difficult," indicated Bjarni Benediktsson. "We need a clear mandate from the people before going ahead with discussions with the EU," confirmed Sigmundur David Gunnlaugsson. Iceland has been an official EU candidate since 16th July 2009. Membership negotiations started on 17th June 2010: 27 chapters (out of 33) have been opened; 11 have already been completed. On 14th January last, Reykjavik said it wanted to take a break in negotiations with Brussels until the general elections. The Icelandic Parliament's agreement to the island's bid for EU membership in 2009 was the work of an "unusual coalition and exceptional circumstances" says Adalsteinn Leifsson, professor of International Economics at the University of Reykjavik. In a recent poll in which Icelanders were asked to list their main concerns they ranked membership of the EU last.